Clark Gregg Teases A Little Of The Agent Coulson Mystery To Come... And A Black Widow Spin-Off? Home » Film » Clark Gregg Teases A Little Of The Agent Coulson Mystery To Come… And A Black Widow Spin-Off? Clark Gregg Teases A Little Of The Agent Coulson Mystery To Come… And A Black Widow Spin-Off? What follows will contain spoilers for The Avengers so, if by some weird fluke, you’re that one person who hasn’t seen the film but have still somehow ended up here, I suggest you go back to your cave for a bit. Thanks. Again, Thor 2 will acknowledge, even grow out of, the events of The Avengers. Captain America 2, while its plot line is still pretty well hidden from us, must be Avengers-influenced too, featuring Steve Rogers, Natasha Romanoff and Nick Fury in a modern Marvel Manhattan. But I’d expect the most dependent on the events of The Avengers will be the TV series, Agents of SHIELD. 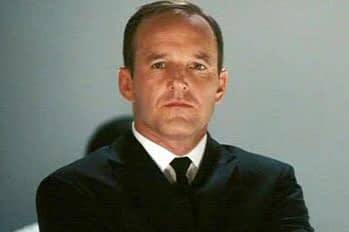 If the star of the show is Agent Phil Coulson, and it seems that he will be, its unavoidable that his ‘death’ onboard the Helicarrier will be central – to his character, if not precisely to the story lines. Clark Gregg is out at the Tribeca film festival to promote Trust Me, his second film as director. He also stars in the film, with Felicity Huffman, Sam Rockwell and William H. Macy. 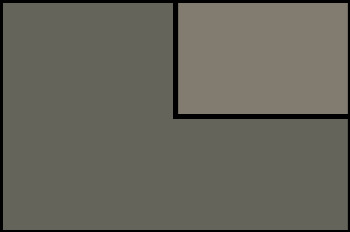 Here’s a clip. Looking good. And I’m sure we’ll be hearing a lot about it soon. In the meantime, though, some of the press who spoke to Gregg at the fest have published the non-Trust Me portions of their interviews, which means chatter about Agent Coulson. Screen Rant managed to get some very interesting quotes. Here’s a transcript, and below those, the video. I thought “You know what, I had a hell of a time playing this guy, I loved the death scene, I loved what Joss did so much,” to want any more of it felt greedy. So when I got a call a couple of months ago to say ‘We want you to come to New York Comic-Con. We’re going to announce that perhaps Coulson lives” I was very curious but also wasn’t sure that I was necessarily down with it. I didn’t want to do anything to undermine the integrity of The Avengers and Joss didn’t either. So I had a conversation with joss and he explained to me that this [show] takes place after The Avengers, after ‘The Battle of New York’. I’m from New York, I’ve lived in a world after somebody has attacked New York, I know that there’s fall out. The Avengers version of that world is a world that has superheroes and doorways to other dimensions and chaos. And the way Joss described to me the mystery that takes place in Marvel’s Agents of SHIELD, and the complexity and the unanswered questions about Phil Coulson standing there trying to deal with this, I found it so fascinating and so true to the world of the comics and mythology in general as I understand them that I was immediately in. I don’t know you could not change going through what he went through in The Avengers. If he hadn’t gone through some kind of change it wouldn’t be any good. That said, I don’t know if he understands how much he’s changed. It would be surprising to me if this was a world where there wasn’t some reckoning…the fact that there was some level of deception must have been perpetrated on The Avengers. It must have been. Now, I have spent some time reading between those lines, and in the video below, you can listen to Gregg deliver these words himself. There’s certainly a lot promised here, implicitly. You might also want your attention drawn to the last question and answer of the video. Simply put, Gregg says “There’s been a lot of talk” about a Natasha Romanoff spin-off. Indeed there has – but does he mean at Marvel? Or just amongst ‘us lot’? I look forward to seeing Whedon’s exploration of a post-Battle New York, and it’s good to know that Agents of SHIELD will have an actor of Gregg’s calibre at its centre. Hopefully ABC will announce a full season pick up soon.